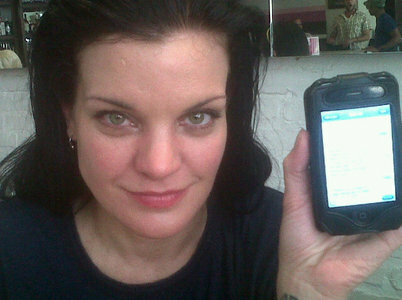 NCIS Pauley Perrette On Twitter! — @HopeGardens Thanks You! Pauley Perrette has spent the last few days trying out her new Twitter account and doing a fundraiser for Hope Gardens, a refuge for women and children. The fundraiser has been a big success and Pauley is up to nearly 4,000 Twitter Followers as of Friday June 25th at 5pm ET. Pauley Perrette On Twitter! — @HopeGardens Thanks You! Day 2 Of Keeping Hope Gardens and the women and children who live there safe. You guys are awesome! PLEASE keep spreading the word to go to: www.HopeGardens.com and donate. We're almost there!! !